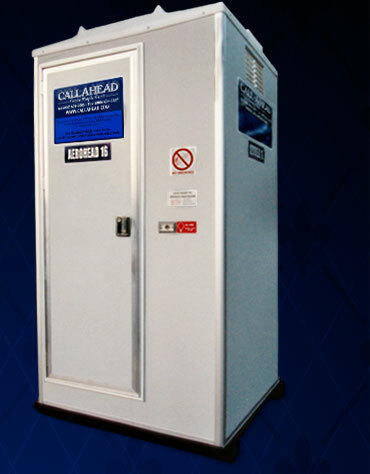 The dynamic company, CALLAHEAD, proudly introduces The AeroHead 16, a new and revolutionary portable restroom. 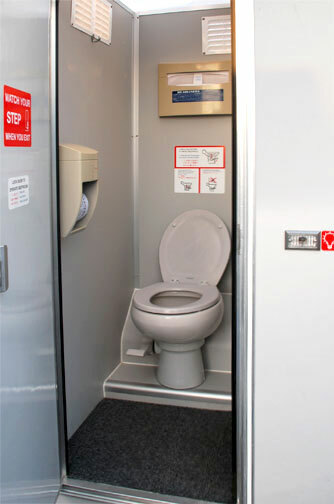 The AeroHead 16 has redefined the standard of excellence in the portable toilet industry. The AeroHead 16 is designed to be similar to the aero engineered lavatories used on commercial aircraft. With each unit offering complete privacy, The AeroHead 16 is fully self-contained, outfitted much like your guests might find in their own home. The AeroHead 16 is designed to be completely odor free. Unlike the standard “chemical toilet blue water circulated electric flush” the AeroHead 16 has progressed to “vacuum flush” technology, which eliminates solid and liquid residue from the basin. By using this “vacuum flush” technology, the AeroHead 16 proves to have increased safety attributes through less risk of corrosive waste “spill over” into recesses around the lavatory, which can be difficult to protect. In addition to the AeroHead 16’s many advantages, The AeroHead 16 is specially designed to be completely solar powered, requiring absolutely no power or water supply to operate. Fabricated from smooth grey marine grade plastic construction, the AeroHead 16 porta potty is completely dirt resistant and its durable and pristine white interiors project an ambience of ultra cleanliness. The AeroHead 16 Portable Toilet for your Special Event! Aviation style Vacuum Flush Technology.